Serve, volley, score! Your doll will spike in style in her volleyball uniform. 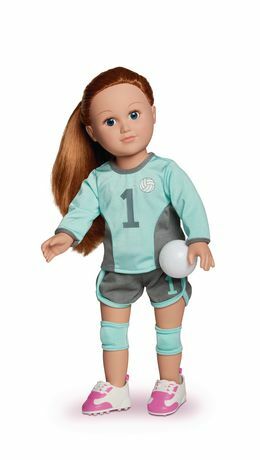 Includes long sleeve top and shorts, plus matching knee pads for when it comes time to dig for the big save!